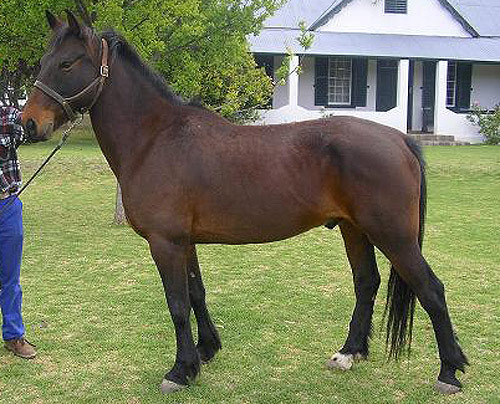 Boerperd, or Boer Ponies, are a tough horse that can still remain their cool and be kind enough to allow for kids to ride, they are hardy, enduring, and have been used for harness work, endurance, and for riding people of all ages and sizes. They are found in Johannesburg, Swaz, Lesotho, and Cape Town, South Africa. Boerperd’s stand at around fifteen hands in full grown size. They are generally bred in any color, typically one solid color rather than mixtures or patterns. They are a fit and lean breed with good shoulders and hard feet, they also have great joints and a shorter back, which aids their strength and ability to carry passengers for hours on end without struggling. Boerperd’s are very easy to care for. They can get their own food and travel for miles without any issues, even in dangerous temperatures. They are good tempered animals and are considered very agile and intelligent creatures.